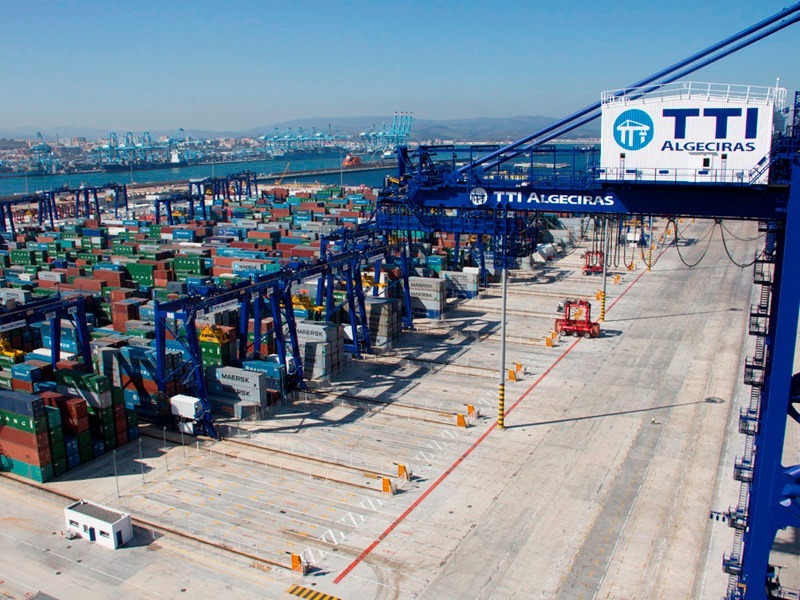 Total Terminal International Algeciras S.A. (TTI Algeciras) is the common user container terminal operating in the Port of Algeciras Bay. The concession, awarded by the Port in July 2008, is located on the Phase A plot of the Isla Verde. Exterior expansion areas. 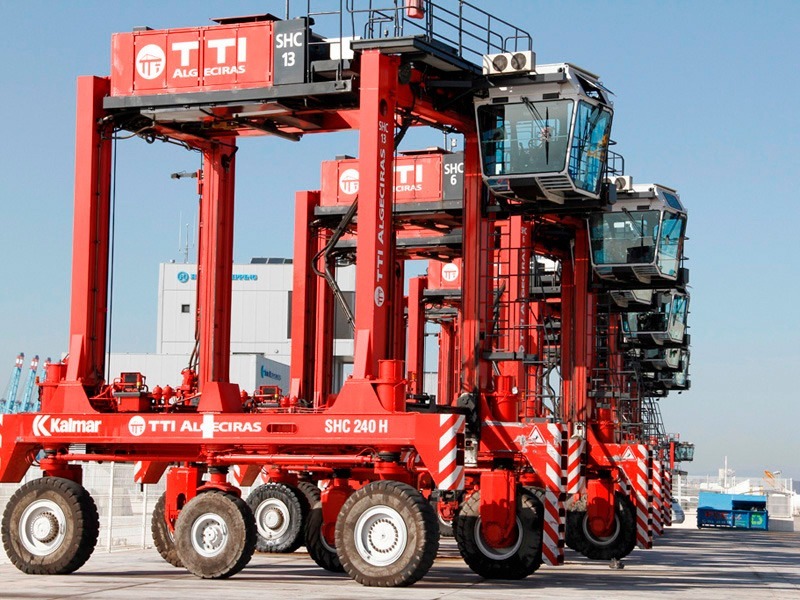 Settled on this location in the South of Spain, a strategic point in the Strait of Gibraltar, TTI Algeciras counts with a concession area of 300,119 sqm, 57,621 sqm of public manoeuvring zone and two quay lines of 850 metres of the East and 550 metres on the North, with a draught of 18.5 and 17.5 metres respectively. 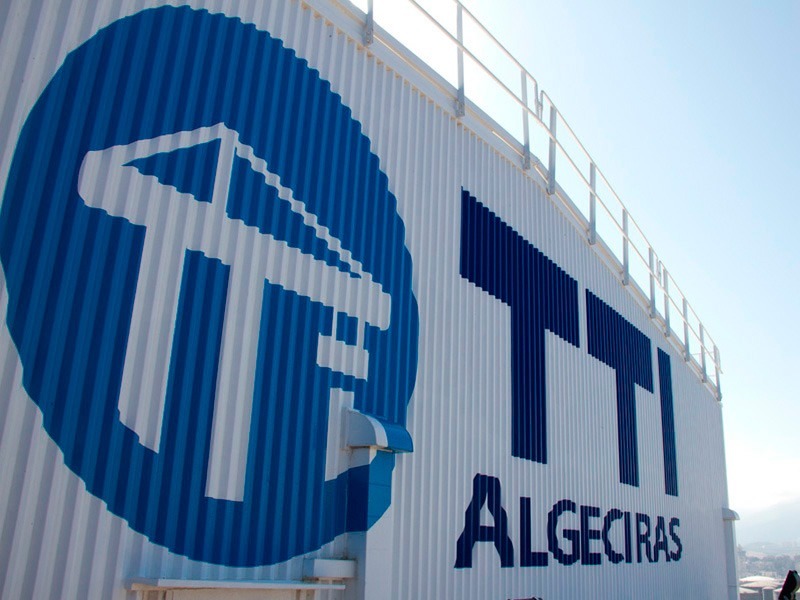 TTI Algeciras, the first semi-automatic terminal in Southern Europe and the Mediterranean area, initiated the business activity in its container terminal on May 2010, with the aim of handling a maximum of 1.8 million TEUs progressively with the start-up of the operations. 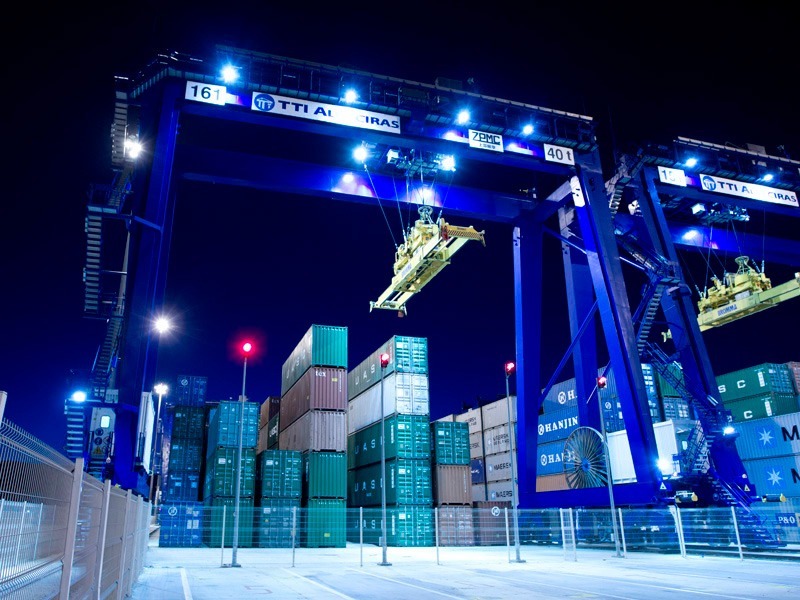 The terminal is capable of handing the latest and future generations of ULCVs with an equipment of 8 Ship To Shore Cranes, 32 Automatic Stacking Cranes and 21 Shuttle Carriers. 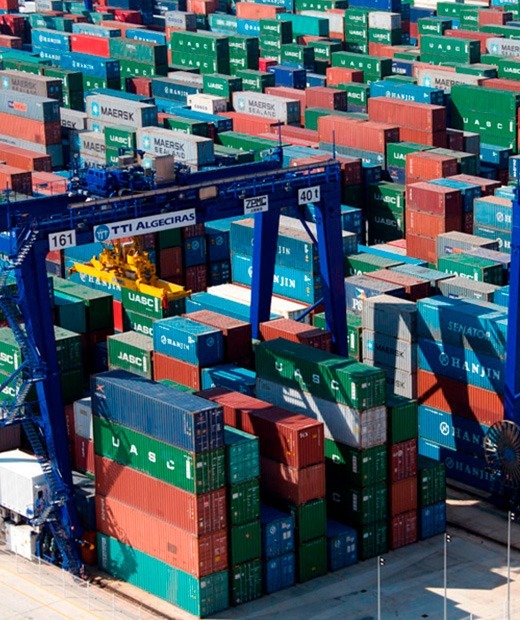 01/02/2008 Hanjin Shipping Hanjin wins bid to build Algeciras terminal. 05/05/2010 The first commercial vessel arrives to TTI-A. 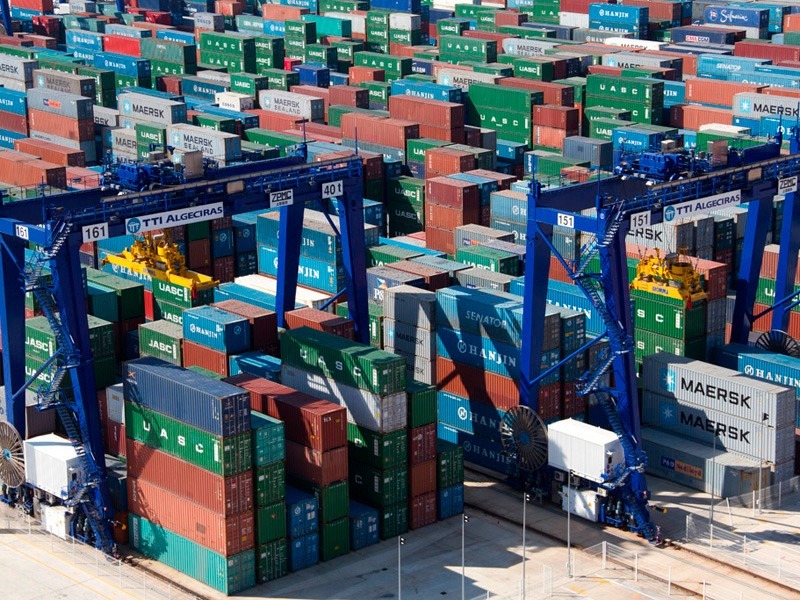 COSCO OCEANIA berths in TTI-A at 17:00 Spanish time and starts operations at 20:00. This vessels starts first regular weekly service (Asia-North Europe NE1 Service).